Automated Cleaning Technologies is a full-service manufacturer of industrial systems and solutions. We provide comprehensive turnkey services to our customers around the world. Our Turnkey services bring together our engineering, design and production capabilities to ensure that our customers’ are able to fully utilize and maintain their ACT systems. We evaluate our customers’ systems and installation requirements, helping ensure that our solutions are cost effective and meet timeline and customer facility space requirements. We provide comprehensive solutions that focus on optimizing systems based on your requirements and facility infrastructure, including integrated material handling solutions with automated load transfer and robotic pick and place systems to maximize your industrial processes. 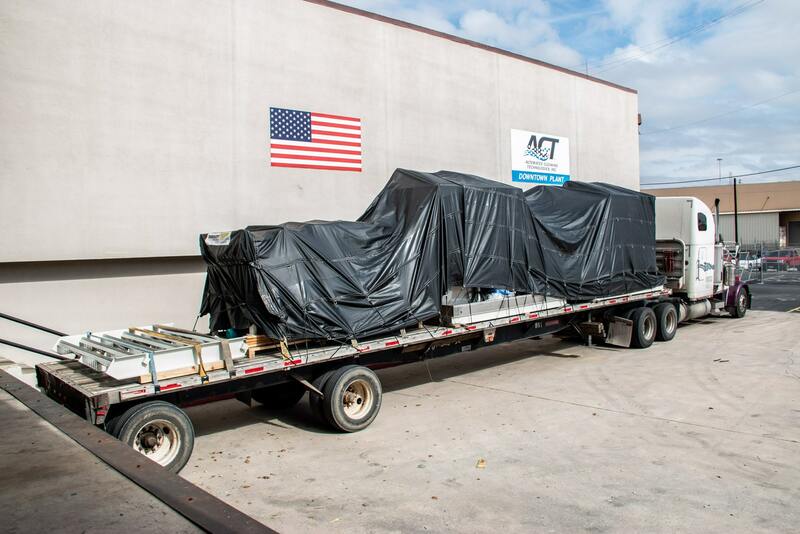 Over the years ACT has helped many customers overcome these obstacles. Whether commercial or military, our efforts begin with your call to discuss your project’s general issues. We then work for you by helping to generate a workable budget for our turnkey services, as well as the best pricing for the new system(s) to be purchased from ACT all under one contract. Facility improvements are engineered, drawn up and stamped, and carried out by ACT’s safety certified project management team and dedicated specialists. Combine these services with our class-leading industrial systems and your project is completed to your requirements, on time, and on budget. Our team of skilled technicians can visit any of your sites globally, train and fully certify your staff and provide on-site maintenance services to keep your systems running smoothly. ACT can provide training videos for your system type that cover key operation and maintenance principles in details. ACT can also work with your chosen general contractor in a joint venture. ACT will skillfully handle the purpose-built cleaning equipment and kitting side, and take the lead on-site modifications, installation and training needs at any facility globally.